The Scottish people have voted by a significant majority against the proposal that Scotland be an independent country. They therefore voted for continuation of the voluntary union of Scotland with England and Wales; against the view that the creation of a new Scottish State was the way forward in dealing with their social and economic problems; and against nationalist division that would undoubtedly have increased dramatically in the event of a Yes vote. All these are positive outcomes from the vote. 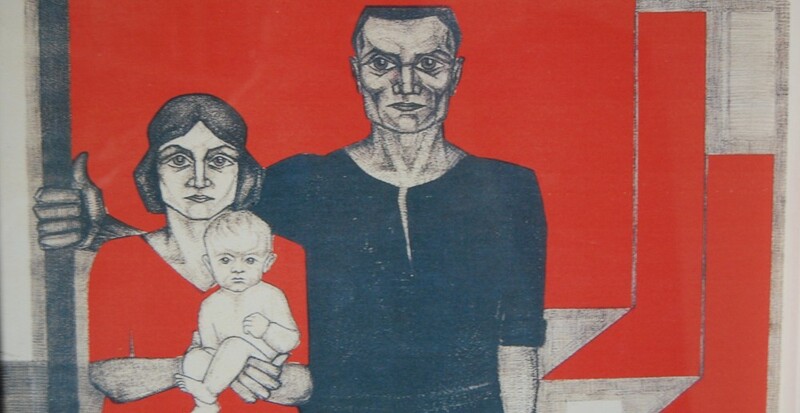 From a socialist point of view the result maintains the current state arrangements that provide better circumstances for workers in Britain to unite and fight against austerity and for a new society than the proposed nationalist alternative. Since the interests of workers are essentially the same irrespective of nationality this positive aspect is also reflected in the blow, however large or small it is, to other nationalist movements in the rest of Europe that seek to ‘free’ nationalities in richer areas from having to make any transfers to people in poorer ones. This means that no great step forward has been taken but that a big step backward has been avoided. A lot therefore depends on what happens next. A late surge in the Yes vote monitored by opinion polls in the two weeks before the referendum struck fear into the No campaign. This removed all the previous complacency it had demonstrated and both the success of the Yes campaign and the removal of complacency among ‘No’ voters resulted in the extremely high turnout of 84.6 per cent. In the end 55.3 per cent voted ‘No’ and 44.7 per cent voted ‘Yes’. This result shows that while the result was ‘No’ it was ‘Yes’ that won the campaign; not the argument. Glasgow voted ‘Yes’ by 53.5% to 46.5% while Dundee voted even more strongly for separation – by 57.35% to 42.65%. North Lanarkshire also voted Yes by a small margin – 51.1% to 48.9%. Not all cities voted Yes however and Aberdeen and Edinburgh voted ‘No’ decisively, by 58.6% and 61.1% respectively. Glasgow is particularly striking even though the turnout there was lower than elsewhere. In this city, in which barely over 51% voted in the 1997 devolution referendum, 75% voted this time. This is put forward as the prime illustration of why the Yes vote rose dramatically. It was made up of voters newly registered; younger voters, poorer voters and thus disproportionately of those with little to lose. It was a vote built on hope, emotion and a ‘we can do this’ attitude. By contrast, in this view, the ‘No’ vote was a reflection of the ‘No’ campaign, fearful and negative. Oh, and it’s ‘old’ as well. Older voters, who by virtue of having something to lose are more selfish, have been portrayed as the backbone of the ‘No’ vote. This, anyway, is the story some nationalists are telling themselves, with their approach being one of refusing to accept the result and believing that they must continue to push for independence. Now instead of ‘once in a lifetime’ the independence issue is only settled ‘at this stage’. Promises of uniting after the vote have very quickly been dropped. The rowing back on this promise is inevitable if, as all shades of nationalists have argued, from the left to the right, progress can only come through independence. Division is intrinsic to nationalism, by definition. This caricature of the vote has, like all caricatures, enough likeness to reality to provide an element of truth. But as a wise philosopher once said, the truth is in the whole, and partial truths are not the truth. Young nationalists might like to consider whether older voters thought not only of themselves but also of their children and of their future. They might reflect that it is primarily older workers who will have a memory and real experience of mass class struggle for a better society by the British working class movement. They might also wonder whether they are better placed to appreciate that things indeed could get worse. 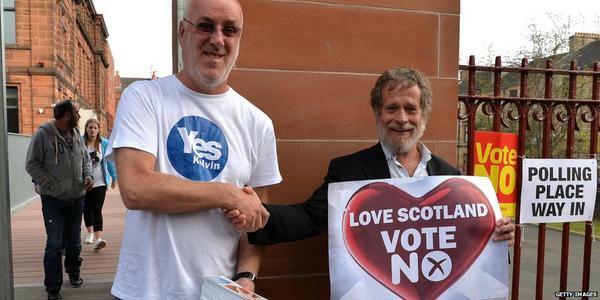 And nor should the fashion for flags or words conceal the underlying basis of the ‘No’ campaign. The majority of Scottish people do not see the English or Welsh as foreign, which is what ‘independence’ would have to mean if it were to mean anything. This common view can currently only take on the language and identity of Britishness, which Scottish nationalists have tried to imbue with a purely reactionary connotation but which is, for example, actually preferred as a self-description more by those with black or Asian ethnicity in the UK than by those with white ethnicity. Over three centuries of history has created acceptance of a common polity which is the bedrock of the ‘unionist’ vote (another word Scottish nationalists use pejoratively). Youthful hope and rebellion are not themselves left wing never mind socialist and the poorest sections of the working class are generally not the best organised and therefore often cannot be expected to have the greatest class consciousness. It is not only the comfortable middle class who voted ‘No’ otherwise there would not have been a ‘No’ majority. The hopes and dreams of the young and poor are real but they are dreams. The reality they seek is a new state that would be every bit as neoliberal as the existing UK state they seek to escape. We can be sure of this because the British state is not unique in being neoliberal and in Europe it is the smallest states that bear the most pressure to be so. The Irish State, the Baltic States and others in Eastern Europe are all involved in the competition for investment and trade that Scottish nationalists want to join. Claims to social justice ring very hollow when placed beside the only concrete nationalist promise of tax changes, which was reduced corporation tax, something all these states pursue, not least to sustain their ‘independent’ existence. The ‘Yes’ campaign reacted to the repeated questioning of the economic project of separation by acting as if it was an affront to their identity, without considering that if the arguments were true then reality would not bend to hope, optimism or declarations of courage. Nevertheless young nationalists and many working class people did see something real when they voted ‘Yes’ but what the saw was not their declared objective of social justice in an independent Scotland. This cannot come from a state that sits on top of a capitalist economic system; and Scotland was very definitely still going to be a capitalist society. What they saw was an impressive grass roots campaign which fought under the banner of social justice and fairness. Many young people will not be alive to the fact that just because this is what the people in the campaign wanted does not at all mean that this is what the campaign would have delivered, were it successful. And no one can afford to go through life confusing their wishes for reality. The road to hell is paved with good intentions and this old saying applies particularly in politics. The values of justice and fairness that many believed they were fighting for are abstract and vague without being grounded in fundamental economic and political change which only a wholly new social system can deliver. This was not on offer by either side of the debate. Impressed by the ‘Yes’ campaign it would have been impossible not to recoil and turn away from the truly awful ‘No’ campaign. As I remarked to my daughter who voted in the referendum: the best argument the ‘Yes’ campaign had was the ‘No’ campaign and this was no good reason to vote Yes. Neither campaign could promise real social change because both were based on nationalism – Scottish or British. The Scottish had the virtue of promising that its state would be all things to all people: low taxes for big business but big welfare for unfortunate workers. It also had the benefit of the existing British State demonstrating that such contradictions are always resolved to the detriment of working people. The Scottish variety could promise “something I could believe in”, as one young ‘Yes’ voter cried, but only because of the lack of understanding that it is not the nationality of the state but the social system it presides over that is fundamental. This young ‘Yes’ voter said that their ‘yes’ vote “had nothing to do with hating the English or nationalism” and many ‘yes’ voters have taken this view – that their vote was not a vote for nationalism. In one sense this is very important. In another it matters not a jot. It matters not a jot because, as explained above, the objective significance of actions are often very different from the subjective intention of the person acting them out. They may do bad things for the best of reasons and may simply be subject to the law of unintended consequences. It does not therefore matter whether there is a nationalist intention behind the creation of a new Scottish State because the creation of a new Scottish State is a nationalist project. The only justification for a new Scottish State is a nationalist one, whether this is consciously acknowledged or not. If we take the view that ‘independence’ is the best or only way to social justice then this can only mean that it is very unlikely or impossible in a united polity with English people. English people are thus a break on progress. If this is not so then why would one seek separation? Much was made of the observation that ‘we’ (i.e. Scots) would get the Government we vote for by independence. Besides the fact that it is more than possible that a majority will vote against the party that gains office within Scotland, and the certainty that this party will lie to get there and break its promises when it does,the greater point is that this argument rests on the argument that it is impossible to share an electoral space with the English on an equal basis because there are more English people than Scots (or Welsh). For a socialist this is not a problem because in such an election the working class and its potential allies are a majority, and their nationality is immaterial, the support of which has to be fought for. For a nationalist this English majority is the problem and those supporting the nationalist project inadvertently buy into it. Much was made of Scottish ‘freedom’ but freedom from what and who? What economic and social forces that cause injustice now would not also exist in an independent Scotland? Right-wing politics; an exploitative economic system; a bureaucratic state which the people do not control; a world economy that threatens capital flight if inroads on the rich are promised -all would exist in an independent Scotland. Yet a ‘Yes’ Vote would have disguised all this beneath the enthusiasm of ‘independence’ and creation of ‘our’ new state that all Yes voters would have had responsibility for creating. Hope, optimism, courage and a ‘we can do this’ attitude would have blinded many to what was happening. There would be lots of John F Kennedy speeches asking, or rather telling everyone – “ask not what your country can do for you, ask what you can do for your country.” Neither is right. It’s what you can do for yourselves, the construction of your own power that will deliver a new society. In this sense the activist ‘Yes’ campaign gave a tiny glimmer of what this might be like but only negatively, if its political programme is ignored and its failure to root itself as a class organisation is discounted. This entry was posted in Capitalism, Nationalism, Scotland, Scottish Referendum and tagged nationalism, Scotland, Scottish independence, Scottish referendum by irishmarxism. Bookmark the permalink. When Lenin referred to nationalism he often spoke about it pejoratively as you do. yet at other times he was more positive. When was he positive about was the principle of national-self-determination. He was aware that the Great Powers were attempting to settle political territorial disputes with the help of the said principle at the peace conferences staged after the first war. The American President W.Wilson had brought this principle to the peace conferences and was widely seen as its main champion. The British and French governments were less keen for obvious reasons. They took the cynical view that the American President was merely trying to divest them of their colonies. The British persuaded President Wilson not to meet with the Irish delegation who had come to the peace conference under the banner of national self determination for Ireland. It transpired then the principle was applied in only in a prudential and even hypocritical manner. Lenin of course was perfectly aware of all this and did his best to make the most of it. The Bolsheviks could use the principle of self determination to their own advantage to undermine the Empires. The problem though was that it was a double edged sword. It could be used against the new Bolshevik government who had just inherited the Russian Empire. They had to determine how much self-determination to over the Poles and other nationalities. This explains why Lenin is somewhat ambiguous when to comes to the principle of national self determination. We can say that for Lenin it was merely a guide to action and not a ideal principle of politics. But this ambiguity creates as much stupidity as it creates political intelligence. The bigger difficulty is that there is no other viable political principle yet recognizable for deciding political-territorial questions. The principle demarcates the borders of nation states. So it is not a really a ringing endorsement of ‘nationalism’ right wing or left wing variety. In your blog you do not distinguish between recognition of the nation state and nationalist ideology. It is rational and sensible to criticize and combat nationalism but doing the same for the national principle in respect of the recognition of the political borders of States is much more difficult. What is the alternative to following the nation state principle in International Affairs. Up into modern times there have only ever been three political or State forms in respect of the claiming of a political territory. These are the City State, the Empire, the Nation State. There are many more political regimes than State Forms. Take France as an example; It has frequently changed its political regime form Monarchy to Republic to Democracy but it continued to be France so long as it maintained a recognized political territory. The national principle was thought to be a big step forward because it was based on a semi-endorsement of the democratic principle of consent. A State can only rule over any people with their consent. I said semi-endorsement of consent because there are always minorities who refuse consent and this causes problems. The national political borders are supposed to correlate with the consent of the majority. With Empires there is no consent required so the political borders are settled by conquest, and so in theory an Empire could expand without limit. This brings us back to Scotland. Scotland is a nation state with or without nationalism, with or without oppression because its Polity is based on internationally recognized borders and its politics is based on the democratic principle of consent. There is no reason in principle why it cannot also opt for self-government. The only legitimate opposition would be based on the fears of minorities who might claim that Scottish nationalism is a dangerous thing that may well strip them of their rights. If there is evidence for this then Scottish nationalism should be opposed. Yet opposing the nationalism would not amount to denying the national right of self determination for Scotland. The reasons why Scotland might decide to exercise its national right in a different way than it currently does are all prudential ones and this should apply to the thinking of socialists and Marxists. The red herring is that socialists are Internationals and should always oppose national self government. But Internationalism is a policy not a principle of politics. There is no reason to think that Internationalism can be used as a principle to settle political territorial arguments, it would certainly help to have a fraternal setting but it does not provide a substitute principle. If it did it would have been invoked more often than it has been. Remember there were Internationalists before there were Marxists. The philosopher Kant wrote about the principles of an international community way before Marx. The International policy at best can demand open borders but open borders implies the existence of legitimate national States. The objection in terms of class solidarity is a prudential one that should be taken seriously by Marxists but it is not a game changer. Class solidarity takes place across borders. The best example of international solidarity in relation to Britain that I can think of recently is when American Dockers supported the strikes of the Liverpool Dockers. But there was no suggestion that America and Britain should establish a political Union on the basis of that workers solidarity. The political borders of nation states do not rule out international workers solidarity in fact they might actually more likely to succeed. There are a whole series of prudential like arguments worth going into concerning the prospects of self government in Scotland. The one that played the decisive role in the matter concerned the economy. I have no knowledge on this matter and remain neutral on it. I find this sort of analysis extremely superficial and it does not address the class forces that contributed to the dynamic during this referendum, The other thing is the one-sided depiction of nationalism forgetting Lenin’s dictum that we take from nationalism only what is progressive. While the older people did vote overwhelmingly for the Union that was not the most important contribution to the defeat. About 15% of SNP voters also voted no. Those who voted strongly for independence was the urban working class in the most deprived areas!! Those who voted no (apart from wobbling SNP’ers) were Tories, Lib Dems and the older layer of LP voters. For gawd sake doesn’t that strike you as significant? If we look at the class dynamics of the Scottish referendum we see that the decline of British imperialism has led some bourgeois forces (embodied mainly in the SNP) in one of its constituent parts (Scotland) to seek to retain a relatively more privileged position through ‘independence.’ This relatively more privileged position is to be achieved through claims on oil resources and a race to the bottom in seeking foreign multinational investment enticed by lower corporation taxes. Everything else that might contribute to the stability of this putative new capitalist state – the monarchy, currency arrangements, financial regulation and NATO membership is to be maintained. Given all this and that Scotland cannot be described as an oppressed nation it is quite clear that the class dynamics of the Scottish nationalist movement is reactionary and has no progressive content.. That is why socialists must oppose it. The fact that a majority of those calling themselves socialist in Scotland might not be doing so is a matter of deep regret. However to base one’s own views on the opportunistic and shallow politics of these groups really would be extremely superficial. I think it should be clear that in attempting even a brief analysis of who voted for what, and why they did so, I would already have demonstrated that I think this is significant. The desperation of some of the most oppressed workers in Scotland to escape austerity and their miserable circumstances is demonstrated by their hope that nationalism is the answer –an answer I have repeatedly exposed as false and something that should be ABC to any socialist. which appears to show that the lower social classes (C2DE) in the standard definition, which I don’t particularly like, split right down the middle. It also shows that 73% of Labour voters voted No, 58% of women voted No and even the youngest age group, though not the next youngest, voted No. All this will no doubt be the subject of future research but the simple view that the No vote were the reactionaries and the Yes vote progressive is not confirmed by this evidence. Beyond this however you are right that it is a class analysis of the issue and the forces involved that is decisive and the tail-ending of reactionary nationalism by many on the Left in Scotland and elsewhere testifies to the reactionary character of Scottish nationalism. Don’t paint nationalism red as Lenin once said.